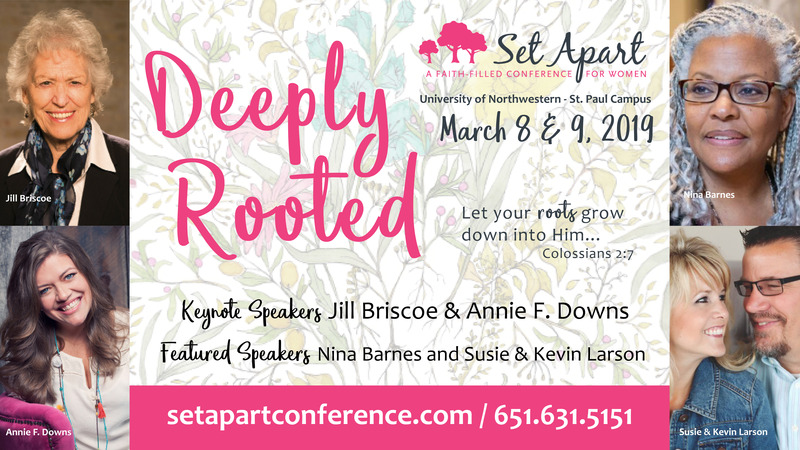 Built on the foundation of God’s Word, this two-day Set Apart conference offers a time for women to listen, learn, connect and be encouraged in their faith. You’ll be refreshed in your spirit and your heart as you hear from keynote speakers Jill Briscoe and Annie F. Downs. Experience meaningful worship, learn from dynamic workshops and enjoy fellowship with sisters in Christ. We’ve purchased a block of tickets and you can Register Here to come together with other women from Emmanuel. The conference runs from 8:00am-4:00pm on Friday and Saturday. The cost is $92 for both days.